Bayside Resort Golf Club, Bear Trap Dunes Golf Club and The Bay Club are award-winning golf courses located near the Delaware and Maryland beaches. 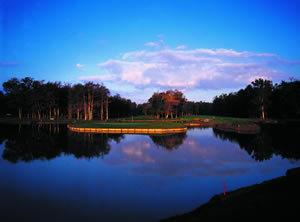 Bayside Resort Golf Club is Delaware’s first Jack Nicklaus Signature Golf Course and is located off Rt. 54 near Fenwick Island. Bear Trap Dunes Golf Club offers 27 scenic holes located in Ocean View, DE, just 3 miles west of Bethany Beach. The Bay Club offers 36 championship holes and is located just 8 miles west of Ocean City, Maryland.